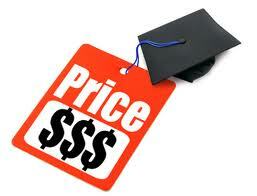 Below Cedar Education lists 7 Scholarships that are about to expire-hurry up and act fast! School is out, summer is here for many students, college is the next stop. Whether you’re a parent or a student, a first-time freshman or a graduate student, paying that fall tuition bill is on your mind. Don’t let it ruin your summer – there’s still time to apply for a few more college scholarships! The financial aid award letters to perspective students can also be a bit confusing for students and parents trying to come up with the true costs of a school. Some are written in a manner that suggests the student is getting a great deal by blurring the line between grants and loans or not making clear how much the student may have to pay or borrow. When reading your award letter, you might get the impression that you would owe nothing and might actually walk away with money. Read the calculations carefully, as an award letter might presume grants, student loans and parent loans figured in towards covering your estimated cost of tuition. Better yet, you should call the school’s Financial Aid department and have them walk you through what are truly grants or loans and what your non-loan tuition expense will be. 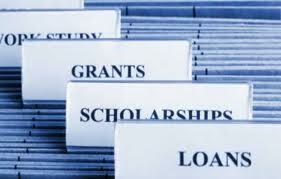 If you need to take out student loans, max out on the federal loans available.If you still need to bridge the gap, shop around for private student loans to get the best rate and terms.Also, once you graduate, don’t forget to consolidate your federal student loans and private student loan consolidations have also become quite popular and beneficial as well. A growing number of colleges are taking smart measures to attract more students by cutting tuition or speeding up the rate at which they graduate. While some private colleges are introducing double-digit percentage cuts in tuition or freezing prices altogether, other schools are offering three-year degree programs or four-year graduation guarantees. In part, these schools are responding to consumers’ concerns about the rising cost of college.However, one has to be careful that all is not what it appears. Tuition cuts and freezes are usually accompanied by reduction in financial aid.The University of Charleston, for example, may be slashing tuition but it’s also reducing the amount of financial assistance that’s available to students to $10 million from $15 million. Instead of making cuts, other schools are freezing tuition at current levels or giving students four-year tuition guarantees. This still means students need to take out student loans and they need to continue toÂ be smart about shopping around for private student loans. At least 14 additional colleges have frozen tuition for the upcoming school year — the highest number of tuition freezes on record. A degree in four years or less: With average tuition at four-year private colleges costing $28,500 a year, according to the College Board, failing to graduate on time is a costly proposition. As a result, some colleges are reducing the time it takes to graduate or guaranteeing that students will get their degree in four years. Beginning next year, Ashland University in Ohio is granting bachelor’s degrees that can be completed in three years instead of four — saving students an estimated $34,000 in tuition costs and giving them a year’s head start in the work force. Ohio’s Baldwin-Wallace College is introducing a “Four-Year Graduation Guarantee” program this fall. Under the program, the school guarantees that students who meet certain requirements, like maintaining a GPA of 2.0 or higher, will graduate in four years. If not, the college will pay for the extra time. Some colleges are taking it a step further by offering joint-degree programs that allow students to graduate with both a bachelor’s and master’s degree in four years. Simmons College in Boston is offering joint-degrees in areas including social work and public policy, while Wilson College in Pennsylvania is launching a program that lets students graduate with both a bachelor’s and master’s degree in humanities. Meanwhile, Lipscomb University in Tennessee is reducing the number of credits students need to take to graduate on time from 132 hours to 126 hours for the 2012 school year — the equivalent of about two classes.